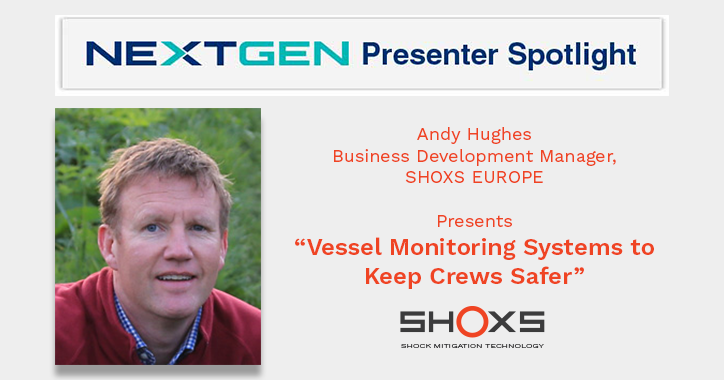 Andy's presentation focuses on the growing trend of ‘smart’ technology for professional watercraft and why maritime agencies should consider systems that provide real-time monitoring data on boat and seat performance. The discussion will highlight new methods to manage whole body vibration with a data-driven, proactive approach to reduce the risk of injury on the water. Hughes has worked within the military boats sector for much of his professional career. An engineer by training, he built, tested, and delivered craft at RTK Marine, which then transitioned into VT Halmatic, and eventually to BAE Systems. He joined the SHOXS team in 2015.